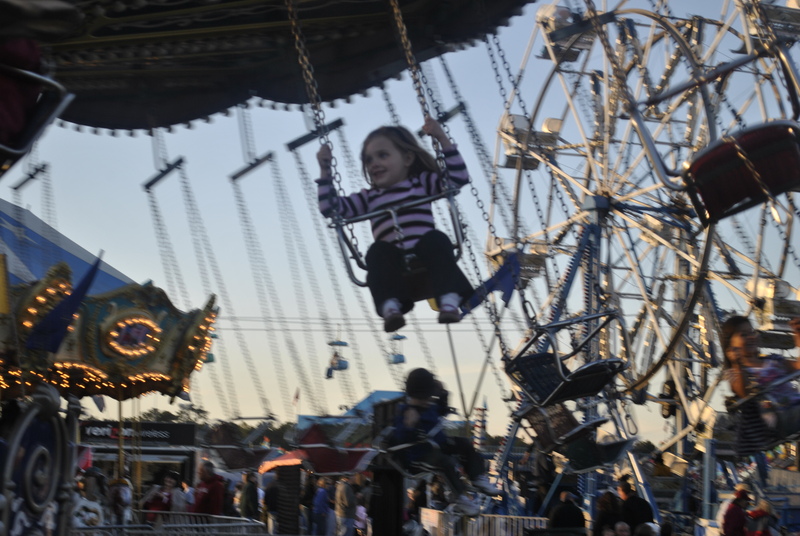 Taylor has been talking about going to the fair since we went last year. She associated it with the time of year in which her birthday and football also occur, so she’s been talking about it A LOT lately. We finally went tonight, and it did not disappoint. Caleb was a big fan. 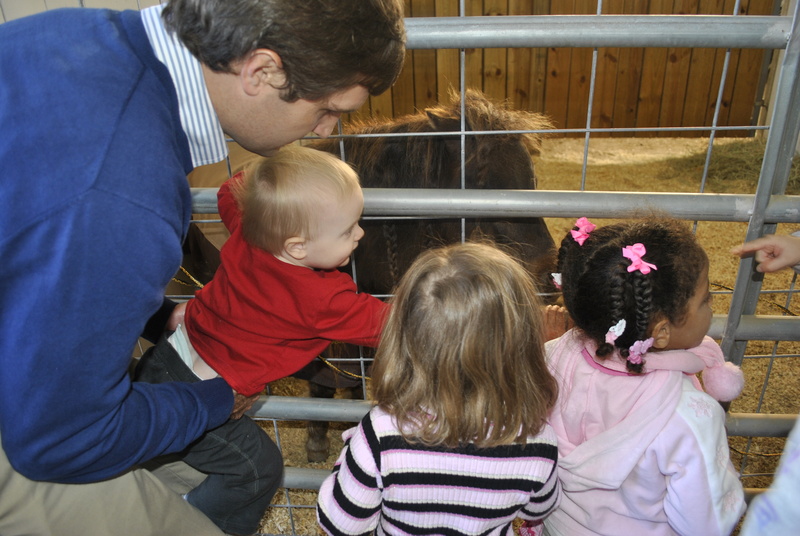 He mooed at all of the animals…not just the cows. There was also a lot of excited yelling and pointing. Taylor is a daredevil. She didn’t want to ride the boring kiddie rides, she wanted the big roller coasters. 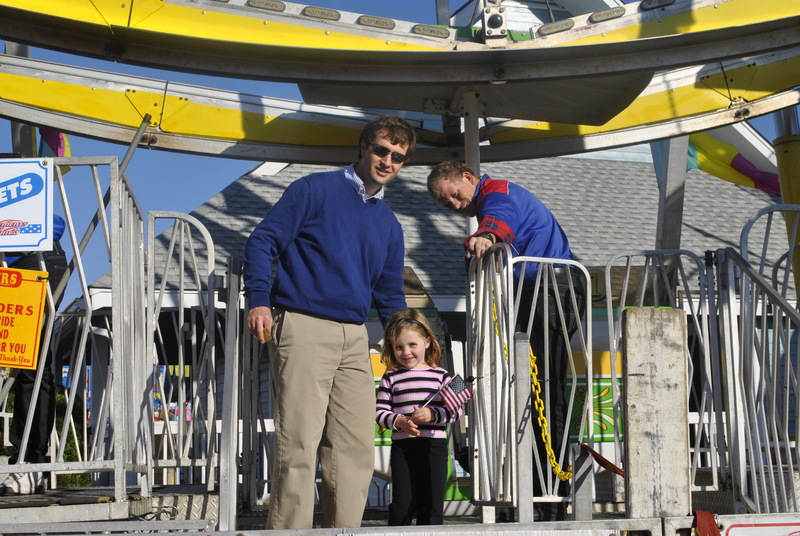 She was quite bummed that she was too short, but at least she got to ride the big Ferris wheel. She even wanted to ride the swings…which we couldn’t ride with her. I was a bit of a nervous wreck, but she thought it was great. 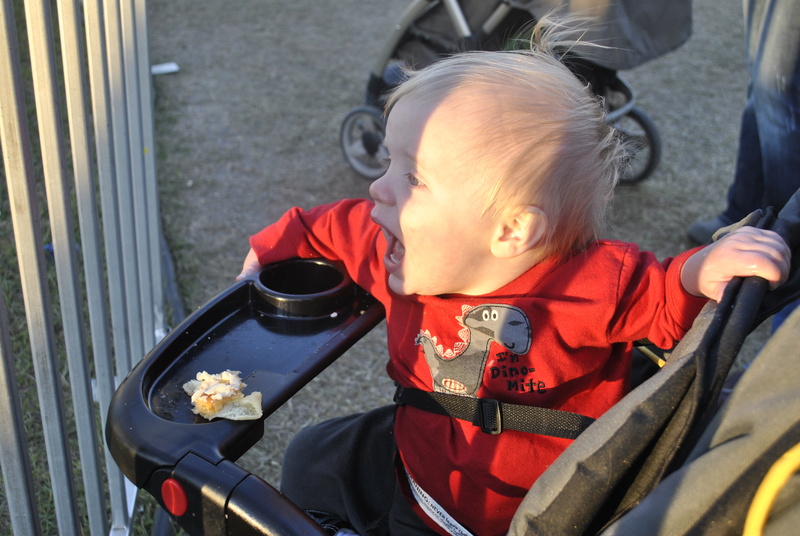 Caleb was pretty sad that he couldn’t ride any of the rides…but was content once we gave him some funnel cake. He would sit in the stroller and yell “TAYLOR” (of course it sounded a bit more like “TA-ER”) over and over again until she got off the ride. On our way out (after eating pizza, sausage, burgers, raw fries, and funnel cake), we heard the announcer for the bull riding competition and had to check it out. We were ring side – and it was a little bit awesome. 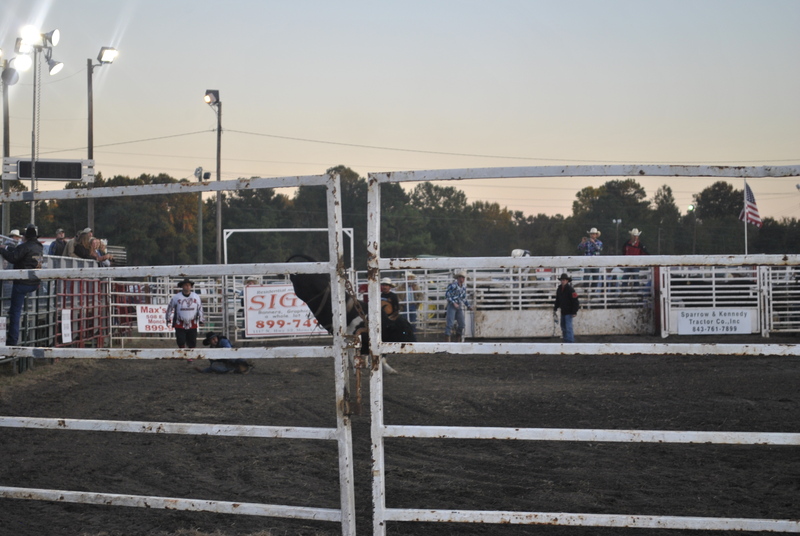 I’ve never even watched bull riding on TV, but I was completely enthralled – and my southern accent got thicker the longer I was there. You can take the girl out of the country, but you can’t take the country out of the girl. I would have stayed for the whole competition/match/game if it wasn’t getting so cold and late. The best part, however, was while watching the cowboys get introduced beforehand, Taylor said, “After the cowboys will come the cowgirls” That’s my girl – I love how for her it’s not a question that a girl could do whatever a boy could do (although, we know girls are too smart to ride bulls, so there were none). After watching three riders ride and fall and nearly get stomped on, we headed out again. Then we saw the sign. The sign for elephant rides. I’m sure the work “SUCKER” was stamped on our foreheads as I handed over the money to ride…but come on! 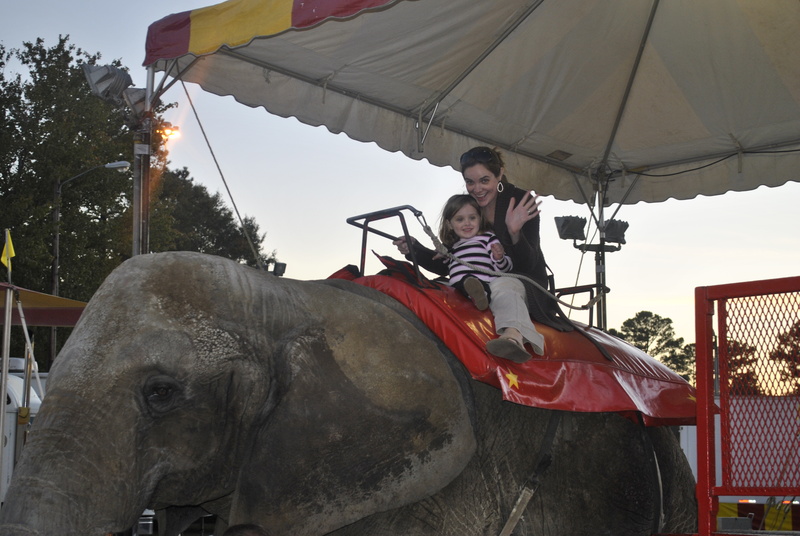 We got to RIDE AN ELEPHANT! 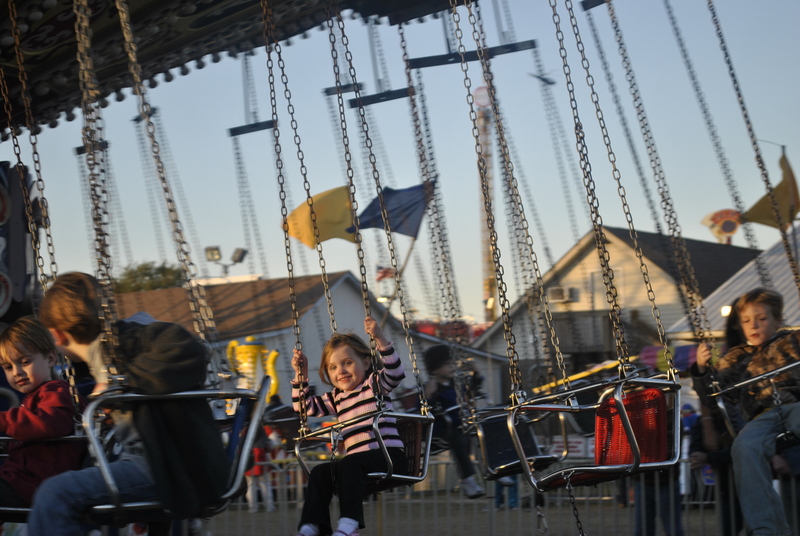 If you’re looking to throw some money away, there is no better place than the fair. Good Grief. We may be eating PB&J for the next week, but it was worth it. We love the fair.